THE DUBLIN DOCKLANDS Authority’s sale of the Hanover Quay site to U2 was dubbed “questionable” at the Dáil Public Accounts Committee today. The DDDA , in one of its final acts before being wound down, has agreed to sell the property to U2 for €450,000. Labour TD Joe Costello, however, took aim at the deal and urged that the Authority be called before the PAC to explain what he called a “questionable” sale. At this point in time it hardly seems appropriate that the Authority should be disposing of property…in what seems to be a questionable manner, for €450,000.Which in that area wouldn’t be worth a semi-detached residence. Committee chairman John McGuinness agreed to write to the DDDA and arrange a hearing, if necessary. Email “Bono in the Dáil? TDs to probe 'inappropriate' property deal with U2”. Feedback on “Bono in the Dáil? 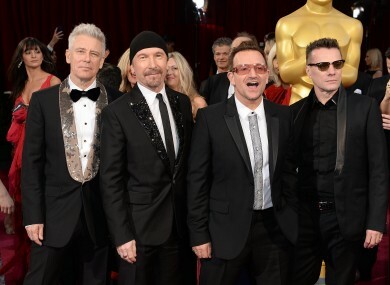 TDs to probe 'inappropriate' property deal with U2”.